Attention, creationists! Are you suffering from inadequacy online? Are you feeling inferior because you have no education? Are you so stupid that no one will respond to you? When they do respond, is it only point out your errors in spelling and grammar? Would you like to become a genuine force on the internet? Then be a troll! Yes, now you too can be a real internet troll! Your Curmudgeon will show you how. Trolls always have a good time, and their comments get lots of responses. As a troll, you’re sure to be the center of attention. Other creationists will praise you. Never again will your comments be ignored. And as a troll, you’ll enjoy the power you have to ruin any Darwinist blog or forum thread just by showing up and trolling. If the Darwinists ban you, that’s good. It proves that they fear you. Oh, the fun! Creationist trolling is easy. It’s simple. And the beauty of it is … you don’t have to know anything! 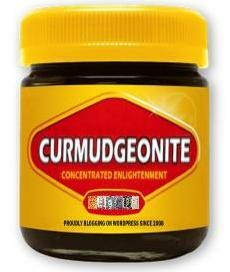 The Curmudgeon’s Toolkit™ is a complete catalog of a professional creationist’s intellectual inventory. To make it even more useful, you can choose the arguments to match your favorite flavor of creationism. Do you admire the Discoveroids? Then use the arguments from their column. Answers in Genesis? We have a column for them too. If you want to troll in pure nasty mode — to show those Darwinists what you really think of them — we’ve got you covered. Likewise for everyday, letter-to-the-editor style creationism. It’s all here! Just print out this toolkit and then copy the arguments that suit your feelings. Or use one or two items at random every time you post. Don’t worry if someone refutes you. Just repeat your earlier comment — they’re always good. Then keep on trolling! You’ll drive the Darwinists crazy! Guaranteed! Teach the controversy Genesis says six days Christian-bashing! What’s the origin of life? Irreducible complexity All mutations are harmful Government grants What are you afraid of? Critical thinking Choose God’s word or man’s God-hater! That’s a “just so” story! The cell is complicated Darwinism is immorality Burn in hell It’s only a theory! Complexity proves design Science proves creationism It’s all about sexual freedom Why are there still monkeys? Addendum: Here are a few more that we couldn’t conveniently fit into the table: Use a mined (i.e., out of context) quote, claim that the odds are against evolution, that carbon-dating is worthless, that thousands of brilliant scientists have secret creationist leanings but are afraid to speak out for fear of being Expelled, and that evolution violates the Second Law of Thermopylae. See also: Curmudgeon’s Catalog of Creationist Chicanery. Tide goes in, tide goes out. Never a miscommunication…. Sigh, would that this were so…. Something’s not right in your lab! The Gene should have been a little more selfish. Oh this is great! I love the opening paragraph, SC, too funny! Maybe not. Nobody’s making any comments. Lotta hits, however. My original version from several years ago had a much better-looking table, but the code doesn’t work here. I donno if the old HTML is obsolete or if it’s a limitation at this website. I think you need to add in the bit about information and the genome, unless that’s too advanced of a concept for trolls to get wrong. There are a few more items that could be added: quote-mining, the odds against (whatever), the 2nd Law of Thermodynamics, etc. But before I can add another row to the table, I need an item for each column, so it’s getting difficult. What the heck, just stick ’em in any column. I mean, is there really any difference between Discoveroids, AiG, Nasty Troll, and Typical Idiot? By the way, this is a great chart. When did you first post it? I don’t recall, and I can’t find it online anywhere. My backup file is from November 2005, but it could have been posted earlier than that. An excellent addition to the Creationoid intellectual armamentarium, and a useful decoder ring for all who enjoy parsing their madness. I added an addendum at the end of the original post to include a few more trollish arguments that didn’t conveniently fit into the table. 1) Respond with a flood if irrelevant nonsense (a Gish Gallop, of which “KF” is truly a master). 2) Ignore the question and answer something else. 3) Declare victory and retreat. Those are tactics, Tomato Addict. I was providing solid creationist substance. For a great treatment of both, see Creationist Flow Chart.